This is the video of the worship service held on Sunday, April 14, 2019 at 9:30 a.m.; Palm Sunday. Thank you to all of our contemporary band participants. This is the video of the worship service held on Sunday, April 7, 2019 at 9:30 a.m.; the Fifth Sunday in Lent. Thank you to Rachel Rosenfeldt for playing the piano for us today! This is the video of the worship service held on Sunday, March 31, 2019 at 9:30 a.m.; the Fourth Sunday in Lent. Please extend a “welcome back” to our very own Ann Buscher! It was great having you accompany us today! This is the video of the worship service held on Sunday, March 24, 2019 at 9:30 a.m.; the Third Sunday in Lent. Thank you to Marilyn Schoen for playing the organ for us today. In addition, special thanks to Adison Rosenfeldt for being our lector. This is the video of the worship service held on Sunday, March 17, 2019 at 9:30 a.m.; the Second Sunday in Lent. Thank you to Rachel Rosenfeldt for playing the piano for us today. Also a big thank you to Barb Akins for providing us with Special Music. This is the video of the worship service held on Sunday, March 10, 2019 at 9:30 a.m.; the First Sunday in Lent. We hope you enjoy our contemporary band as much as we do. Thank you to all band members for leading us in this fantastic worship! This is the video of the worship service held on Wednesday, March 6, 2019 at 6:30 p.m.; Ash Wednesday. This is the video of the worship service held on Sunday, March 3, 2019 at 9:30 a.m.; Transfiguration of Our Lord. It is our hope that you enjoy our Hymn Sing Sunday as much as we do! This is the video of the worship service held on Sunday, February 24, 2019 at 9:30 a.m.; Seventh Sunday after Epiphany. Thank you to the SPARK Children for providing our special music today! This is the video of the worship service held on Sunday, February 17, 2019 at 9:30 a.m.; Sixth Sunday after Epiphany. Thank you to Maryiln Schoen for playing the organ for us today! 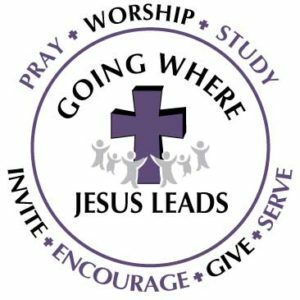 Sunday morning worship begins at 9:30 a.m. Thursday evening worship is held at Northland Village, 1025 Pine Beach Road, Marinette, and begins at 6:00 p.m..